A lot of reviews (from critics or otherwise) like to talk about whether or not a movie “held a child’s attention.” I completely understand the idea, but there are also SO MANY factors involved: parenting, pacing, other in-theater distractions, what they just ate, what they’re in the mood for, what other movies they’ve seen, how that kid in particular responds to sitting still for two hours, and on and on and on. It’s hard enough for a film critic to put aside whatever else is going on with them and force themselves to be a blank slate, so I can’t imagine what sort of surface-level, constant emotions are bouncing around (internally) at every second to distract kids. Adam & I see a lot of movies either very late at night or stupid-early in the morning, often by ourselves (or nearly). So it’s the rare occurrence, nowadays, that we’re in a theater packed with KIDS. We both like kids, we try to be respectful of them and their parents (going to the movies is costly! and dark! and chaotic! ), and we know they’re going to chatter and kick the seats. But it can also be a lot of fun (for us) to watch a film in an audience filled with kids, when it’s clearly made FOR kids. Case(s) in point: As soon as the lights went down for our preview screening of “Pete’s Dragon” and the Disney fireworks began to pop (3D!) a kid in front yelled “WOW!” Characters on screen called for “Grace! Grace? !” at one point, a boy in the audience loudly chimed in to help, and a girl in the back responded “Yes?” The theatre erupted in laughter (parents and kids alike) when a character fell down, and the small children in front of us (surprisingly) bopped in time to the folk music. Good times. But what really surprised me was a very quiet section, roughly halfway through, about sadness and abandonment. NO ONE spoke at first and then, when the scene ended and faded to black, the audience was filled with hushed little whispers, asking “What happened to Pete?” or “Why did he do that?” No one screamed, no one walked out. The kids were invested and interested and responding to the emotions. 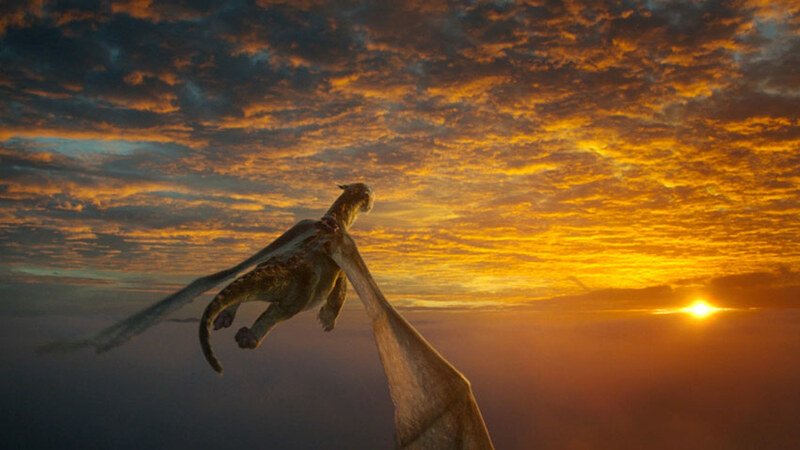 Will your kids sit still through “Pete’s Dragon”? I have no idea. It’s on the quieter side, well-paced (in the style of 80s Amblin entertainment: it moves along but never RACES) and is *extremely* earnest and straightforward. But it’s joyful, and lovely, and it’s the kind of movie I would *love* to take a kid to, to see their reaction. It’s also EXTREMELY different from the original film (Your childhood isn’t ruined! Just go watch that one again!) But this is a movie made FOR kids, in a big emotional way. I hope they like it as much as I did.